Oats are a type of cereal grain. It is a heart-healthy breakfast food. Oatmeal is a meal made of oats. It is normally made for breakfast. Oats have numerous uses in foods; may also be used in a variety of baked goods, such as oatcakes, oatmeal cookies and oat-bread. Here on this page we will see some of the important health benefits of Oats. 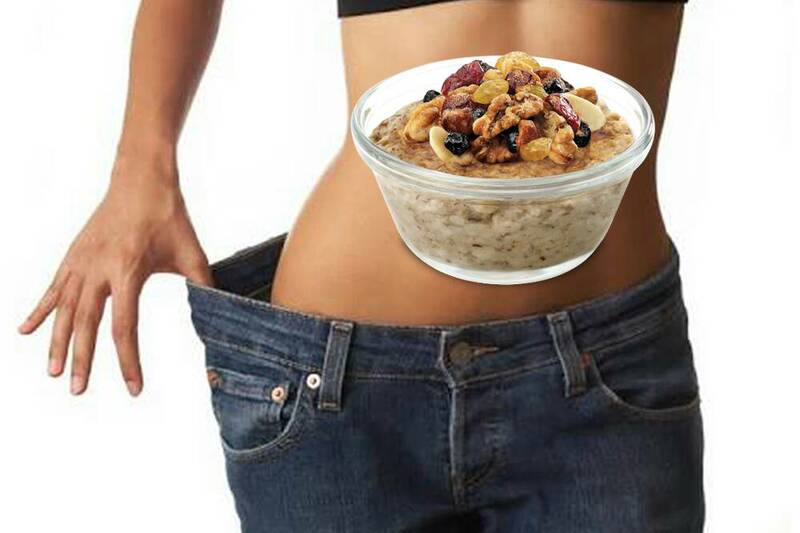 Oatmeal can be prepared in a few minutes and it’s ideal breakfast for weight control for you and your family. Plain oatmeal is low in calories and high in fibre which acts as a winning combination for helping you drop those extra pounds. It digests slowly and triggers the release of digestive acids that suppress appetite and accelerate calorie-burn. It’s the perfect way to start your day with a metabolism boosting meal, and as an added bonus it keeps you full for hours and reduces mid-morning snacking. Eating oatmeal for weight loss is also a great habit that’s easy to follow. Not only does it taste great, but the body digests oatmeal at a slower pace, keeping blood sugar levels steady, your energy levels up, and reduces your hunger cravings. You’ll feel full all morning and will be able to resist the temptation to snack. A good oatmeal breakfast is definitely part of a clean eating diet plan that will help you drop weight easily. Oatmeal can serve as a healthy and filling breakfast when you’re trying to lose weight. Oatmeal has a number of health benefits. It’s high in fibre, since it’s a whole grain, and it can keep you feeling full for longer, a benefit when you’re trying to stick to your diet. A bowl of oatmeal is relatively low in calories as long as you resist the urge to load it with sugar. White oats contain more soluble fibre than any other grain, resulting in slower digestion, a feeling of satiety and suppression of appetite. This fibre contains a mixture of about half soluble and half insoluble fibres. The soluble fibre found in oats is beta-glucans, a soluble fibre which has proven effective in lowering blood cholesterol which provides calories to fulfil energy needs. The fibre in oatmeal also helps you feel full and eat less later on during the day. Fiber also eases constipation and helps control blood sugars. Oatmeal is a whole grain, and eating whole grains can lower your risk for several diseases, including high blood pressure and type 2 diabetes. They are a great source of carbohydrate which is an important source of energy for the body. All carbohydrates are ultimately converted to and absorbed into the blood in the form of glucose. 1 cup cooked oats (234g) contains 158 calories.